BAL WP1 Waterproofing Kit is a flexible, seamless, and complete waterproof tanking system. It includes an acrylic based flexible WP1 Tanking Coating, WP1 Polyester Tape, WP1 Polyester Matting, and APD Acrylic Primer. 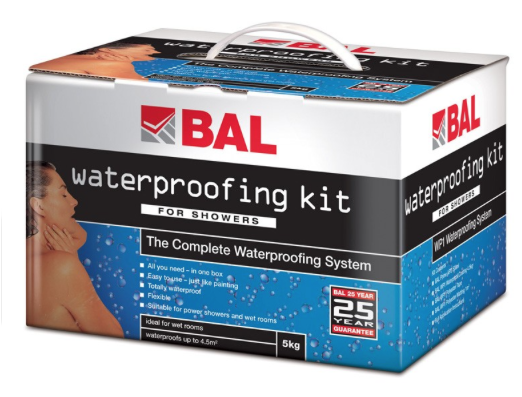 The BAL WP1 Waterproofing Kit provides complete waterproof protection of substrates prior to fixing wall and floor tiles in wet or dry interior environments.